Partnering with extraordinary sponsors and judges, Maria is committed to finding and featuring the most extraordinary innovations and initiatives of Canadian Women in Business. 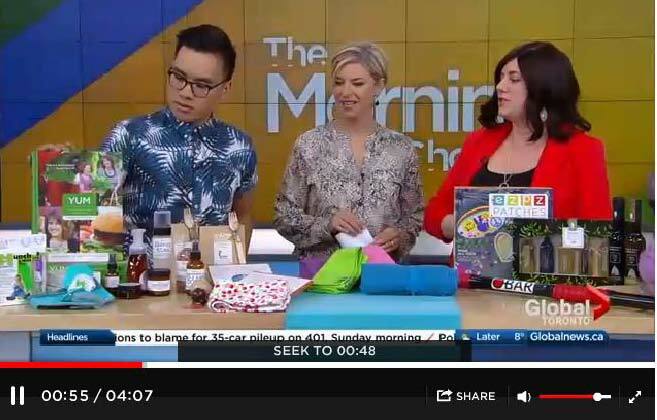 It is impossible to describe how privileged I feel to be selected to be among this year’s Top Finalists for the Official Canadian Mompreneur of the Year Award, featuring my book YUM. As Maria has observed, for many women, stepping into the world of business can feel like very unfamiliar territory. Acknowledging this fact and then offering resources, education and information to help women succeed with their innovations and philanthropic initiatives, she is fast becoming a respected leader for women in business—an innovator in her own right. 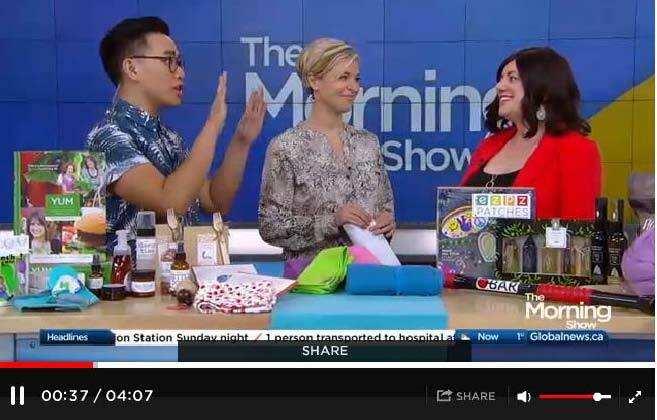 Nominated by her peers in 2013 for the “Entrepreneur of the Year” award with The Milton Chamber of Commerce, Maria‘s tireless passion to gain awareness for moms in business is unparalleled. 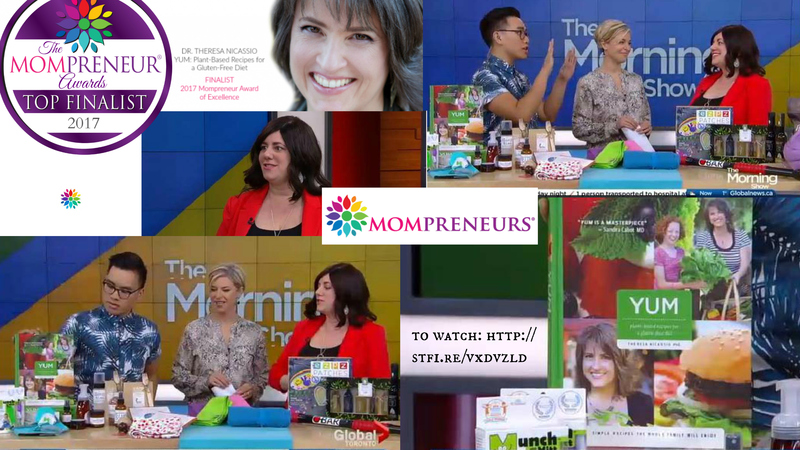 For those able to attend The National Mompreneurs® Conference, which “combines 2 days of education, inspiration, connections, and insights for women entrepreneurs across Canada,” it will be held at the Sheraton Toronto Airport Hotel & Conference Centre, Toronto this weekend on March 3-4. If you are able to make it, be sure to say “Hi” – I’d love to see you there! 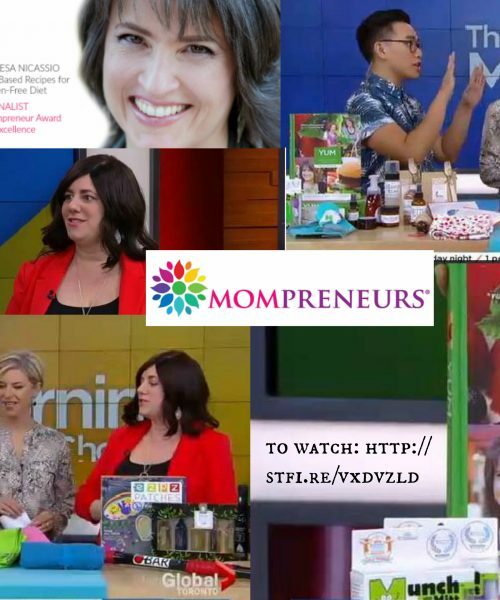 It is impossible to describe how privileged I feel to be selected to be among this year’s Top Finalists for the Official Canadian Mompreneur of the Year Award, featuring my book YUM. 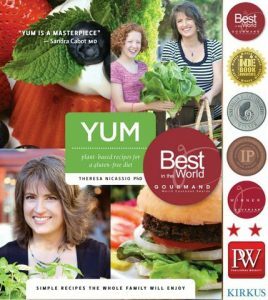 A 2016 “Best in the World” Gourmand Award Winner, YUM: plant-based recipes for a gluten-free diet, ha-s a scope that extends far beyond the typical cookbook in any genre. EAT Magazine’s 2016 BEST GIFT PICK, YUM: plant-based recipes for a gluten-free diet makes healthy eating delicious, even if you or your loved ones have allergies or food restrictions. 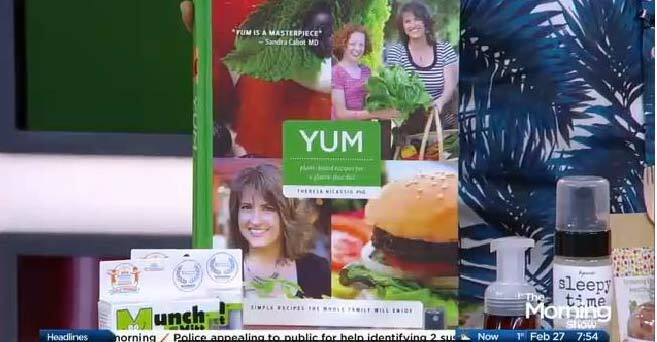 YUM is a perfect gift for anyone desiring to live a healthier, more vibrant or conscious life. 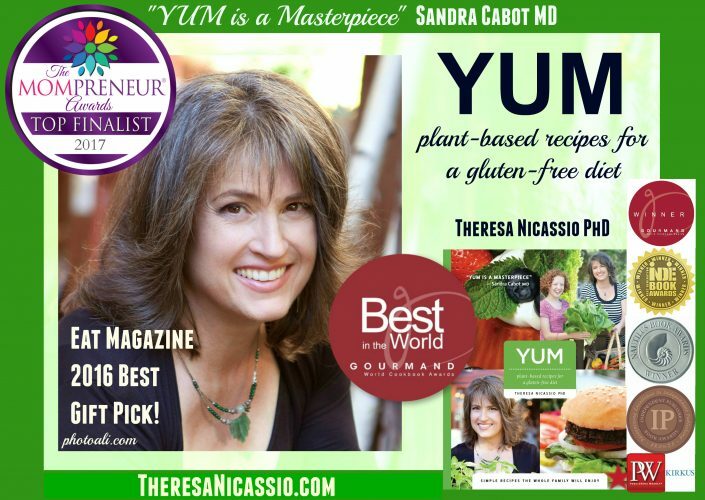 “YUM is a masterpiece in several ways” (Sandra Cabot MD). The soulfully written 368-page lifestyle/art book is perhaps the first entirely plant-based book that does not promote veganism or any other special diet. 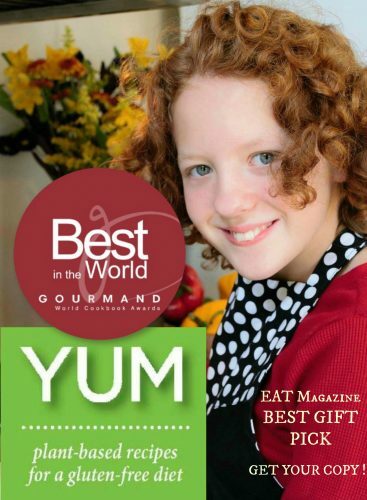 With its one-of-a-kind 10-page Special Diet & Allergy Chart and all recipes easy enough for a twelve-year-old to make, YUM makes navigating multiple dietary needs a breeze. have special dietary needs. 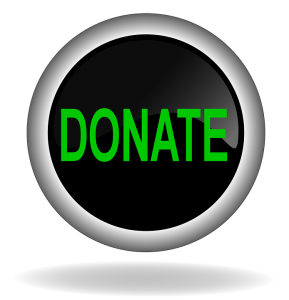 However, YUM is a game-changing “must-have” for those who live with food sensitivities, autoimmune challenges, heart disease, cancer, autism, ADD, or diabetes. EAT Magazine – 2016 BEST GIFT PICK | Get Your Copy TODAY!